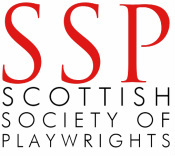 The Scottish Society of Playwrights (SSP) is a membership organisation representing the interests of professional playwrights in Scotland. We are affiliated with the Scottish Trades Union Congress. Copyright 2015. All rights reserved. Website designed by Gilly Roche and Patrick Roche.